Poems reflect vision, art and emotions in the words that are being expressed and in how they are being presented. 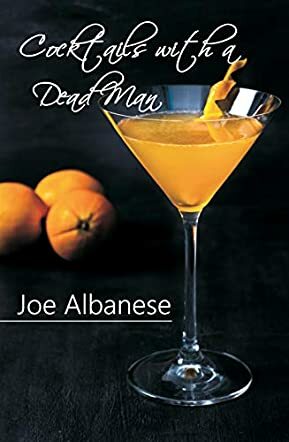 In Cocktails with a Dead Man by poet Joe Albanese, you will experience over 65 beautiful poems of fighting, chatter, action and movement. The poems in this book were previously published in a variety of magazines and journals from the Indian Review and The Oddville Press to Paper and Run and now this collection has been packaged beautifully in this book. Each of these poems will reach out and embrace you because of the life that breathes between each page. You will enjoy the poems because of the beautiful essence of words and emotions that has been created using literary expressions. As you read through this book, you will have a vision of how words can embrace your spirit and engulf your body as you connect with these poems. I enjoyed these poems because they reflected real life, such as Bar Fight, At Sea, For You I Crumble and Red Light Run to A Place Not Home. When you read the words, these make you stop, reflect and think. Some of my favorites passages derive from A Place Not Home: “It craves what it is/It needs what it’s not”; “It is what it is/It takes what it's not”; “It hates what it is/It fears what it’s not” to ultimately realize after all “It is what it is/It takes what it's not.” If you're looking for some great poetry to add to your library, this collection is a must-have. Enjoy!